Jay-Z’s major announcement has been revealed — he will take on the role of curator and star in an upcoming “Made in America” Music Festival. This will be the very first Budweiser “Made in America” Music Festival, and will take place in Philadelphia, Pennsylvania. The two-day event will see as many as 28 performers at the Fairmount Park in Philly, on September 1st and 2nd. The festival is produced by Live Nation and the line-up won’t only include hip-hop, but a mix of “rock, hip-hop, R&B, Latin and dance.” No other acts chosen by Jay-Z have been announced yet. We will stay on top of this story and announce the line-up as soon as it’s made public. Tickets will go on sale May 23rd via ticketmaster.com or livenation.com !! 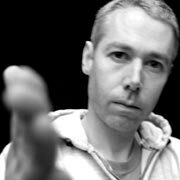 Beasties Boys’ rapper, MCA (Adam Yauch), passed away this morning. In 2009 he announced that he was being treated for cancer, and he had since undergone surgery and radiation therapy. Yauch was 47 years old — He co-founded the Beastie Boys in 1979 along with Mike D, Mix Master Mike, and Ad Roc.